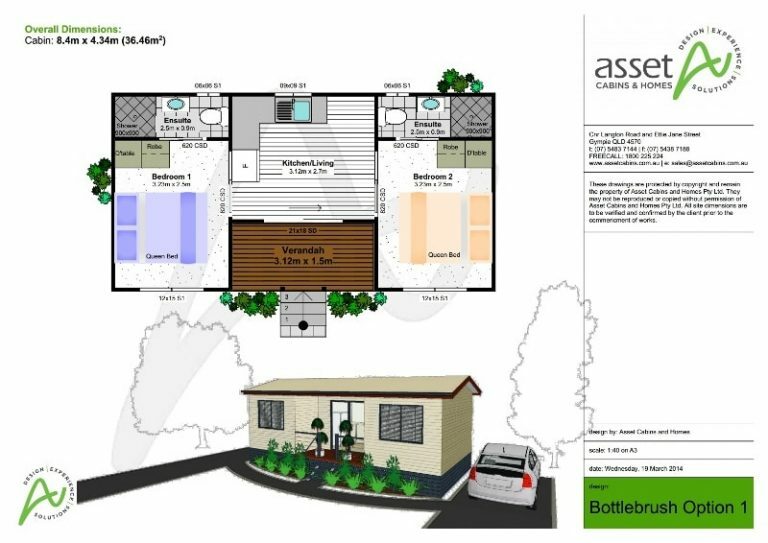 Bottlebrush – Option 1 is a four-person relocatable cabin suitable for mining/worker accommodation. 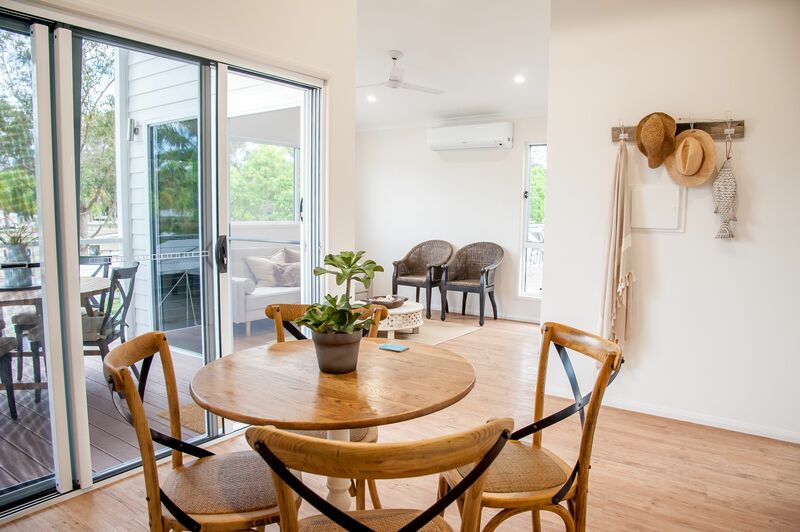 The cabin comprises two bedrooms with ensuites, and a shared compact kitchen/living area. Each bedroom contains twin single beds, a built-in wardrobe and dressing table, and an ensuite bathroom with shower, toilet and basin. The kitchen/living area has a four-place dining table. Note: For a larger version of this cabin, see Bottlebrush Option 2.